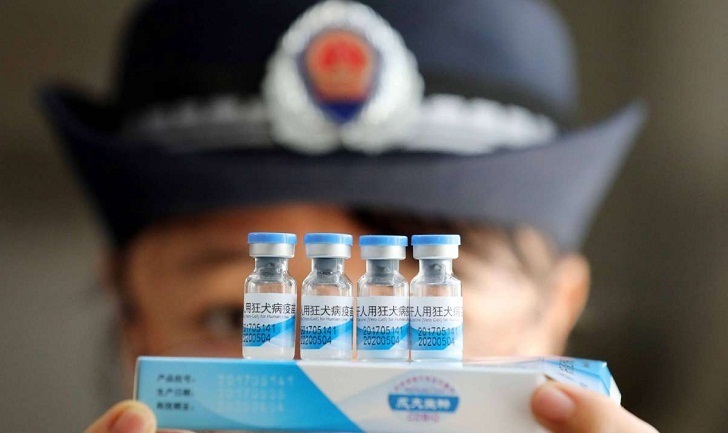 China said Saturday it has sacked six senior officials over a vaccine scandal that inflamed public fears over the safety of domestically produced drugs. Five officials at the China Food and Drug Administration (CFDA) -- including Deng Jianhua, who directed two departments -- were sacked, a statement from the State Administration for Market Regulation said on its website. The sixth official was deputy director of the National Institutes for Food and Drug Control (NIFDC) Wang Youchun. The vaccine scandal revealed that CFDA officials "did not sufficiently supervise and regulate, provided inadequate oversight and control, and conducted lax reviews of violations, neglecting their responsibilities through many loopholes," the statement said. The CEO of the company responsible for the faulty vaccines, Changchun Changsheng Biotechnology, has already been arrested along with 14 other people in connection with the scandal. The company is based in northeastern Jilin province. A dozen other officials were removed from office on Thursday, including Jilin's deputy governor Jin Yuhui, according to the official Xinhua news agency.